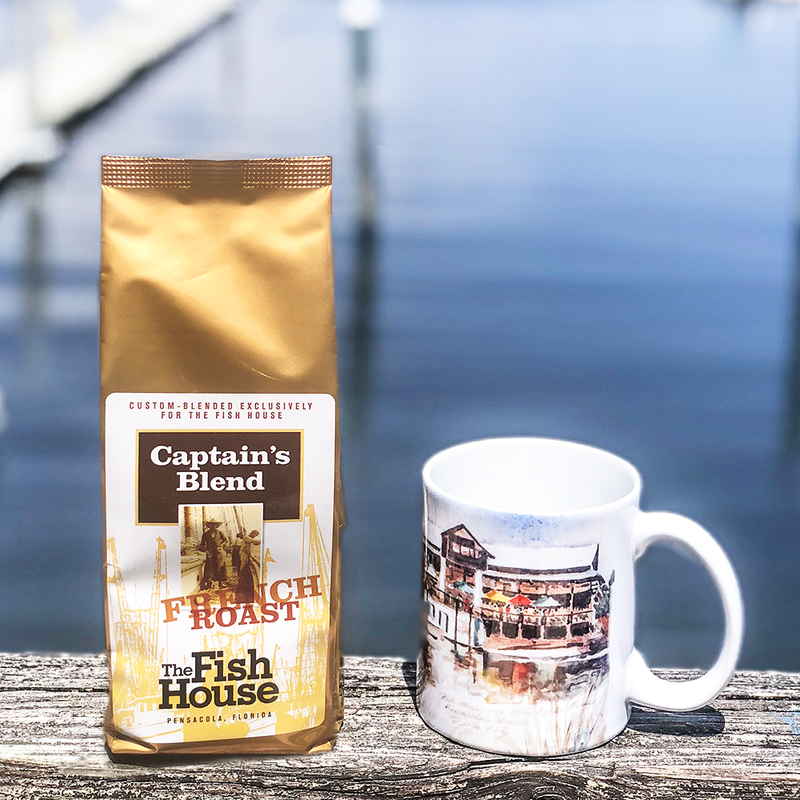 The Fish House Captain’s Blend French Roast ground coffee. 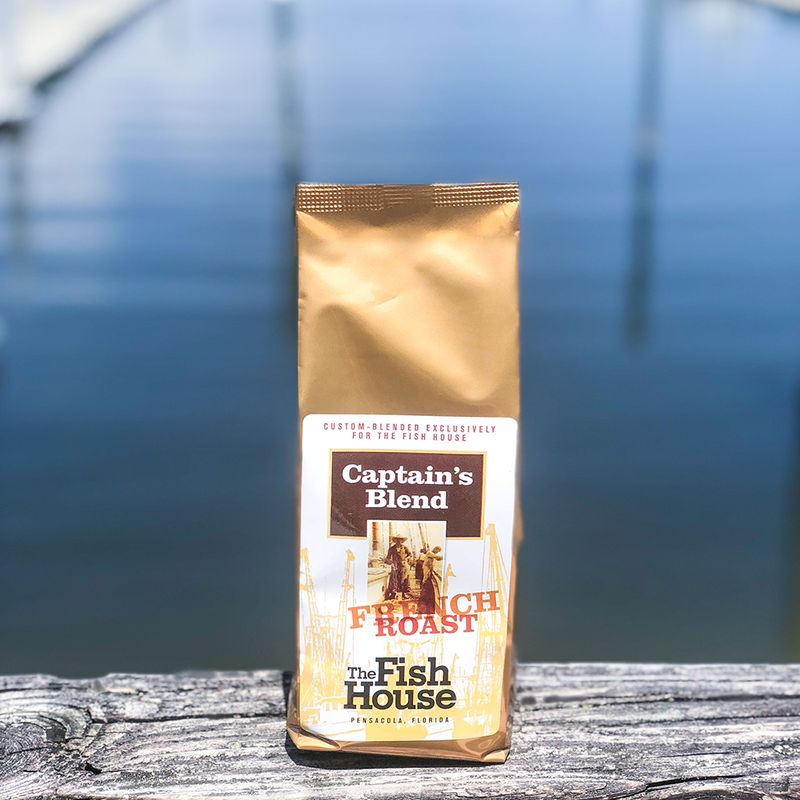 Custom-blended exclusively for The Fish House. 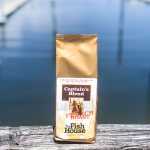 Our custom blend of Sumatra Mandheling beans and South American beans in a classic French roast creates a superior coffee with a full dark-roast flavor, but without the bitterness associated with many dark roasts. It’s lower caffeine content makes it the perfect after-dinner coffee.